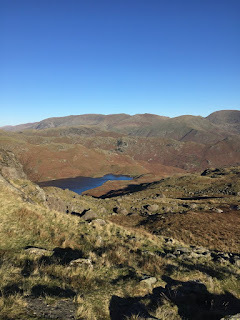 Since whining about injury has become a bit of a default setting for the blog recently, I thought I'd return to a bit of opinionated rambling by way of light relief. So....recently on the Marathon Swimmers Forum, there was a discussion about the use of the term "bioprene" - a neologism that compounds biology and neoprene to describe body fat specifically in the context of swimming. As a concept, 'Bioprene' serves a number of functions. Firstly, it signals a form of 'natural' swim-enabling body composition (buoyancy / insulation) that stands in direct contrast to neoprene, whose 'artificial' assistive qualities remains a lightning rod for debates about what constitutes authentic marathon swimming. I'm not sure that the use of a term founded on that binary is particularly helpful in smoothing out those battle lines (and I'd make the same argument about the use of 'skins' to describe non-wetsuit swimming - an ugly term that defines swimming by the body's surface rather than its entirety, and makes me cringe every time I hear it). Second, it is a euphemistic attempt to distance swimmers from the social stigma of fatness / body fat by separating it from the embodied self; bioprene is something that can be gained or lost, put on or taken off, just as a wetsuit can, rather than being part of, and inseparable from, who the swimmer is. Third, and relatedly, bioprene operates as an alibi for fatness; as I've written about extensively elsewhere, bioprene is repeatedly articulated in terms of 'heroic fatness' (fatness for a higher purpose) in ways that render body fat forgivable by virtue of its connection to an status-bearing, extreme endurance sport. In a fat-phobic society, fatness and body fat always need to be accounted for, and calling fat bioprene distinguishes it from other, more easily discredited, forms of fatness. And fourth, variable amounts of body fat among swimmers, and the impossibility of reading performance off the fat body, is commonly cited as evidence of a community that is exempt from the fat-phobic prejudices that people with noticeable body fat encounter in as they move through the world. The water, we are told, is a great leveller, but this still leaves those negative assumptions intact outside of swimming; this swimming exceptionalism, while well-intended, does nothing to disrupt the negative assumptions and devastating discrimination that fat people face in their everyday lives (and also ignores the entrenched fat-phobia that is alive and well in the swimming community). I've never really liked 'bioprene' as a term - it's too euphemistic, and too wedded to the idea that body fat is somehow not part of the body / self. But I also strongly dispute the idea that fat-phobia is rendered obsolete by the accustomed exposure among swimmers to bodies of all shapes and sizes and the awareness that size / composition is no predictor of performance. Every time you observe a fat swimmer and make judgements about their performance, you reproduce assumptions about the bodies of fat people; and every time you are proved wrong by being trounced by a fat swimmer, your surprise reflects those assumptions (and we could say the same about age, or about gender and the repeated (and slightly shocked) acknowledgements that women can out-swim men). Marathon swimming is always part of the social world rather than an exception to it, and swimming becomes an alibi for fatness when framed as bioprene, rather than a site of fat's radical reframing. It is not enough to conclude that size and age are meaningless indicators of swimming performance without also maintaining the commitment to actively refusing those prejudices. Otherwise, the water is not a great leveller, but rather, a means of obscuring fat-phobia both in swimming and beyond it. So each to her own, but I don't have bioprene, I have body fat, and I'm fine with that. As we move into week 9 (of 11) of the teaching term, it's been a really tough one, mostly for reasons that I'm not going to discuss on here, but not helped by being much more inactive than in previous years. Over the last couple of months, I've continued working with Adam, and more recently, with his osteopath pal, Neil, and between them, they have massaged and crunched me slowly towards something closely approximating recovery. A month or so ago, I got the go-ahead to get back in the pool, albeit in a carefully controlled and modest way....every other day, only 30 mins at a time while we assessed my progress. 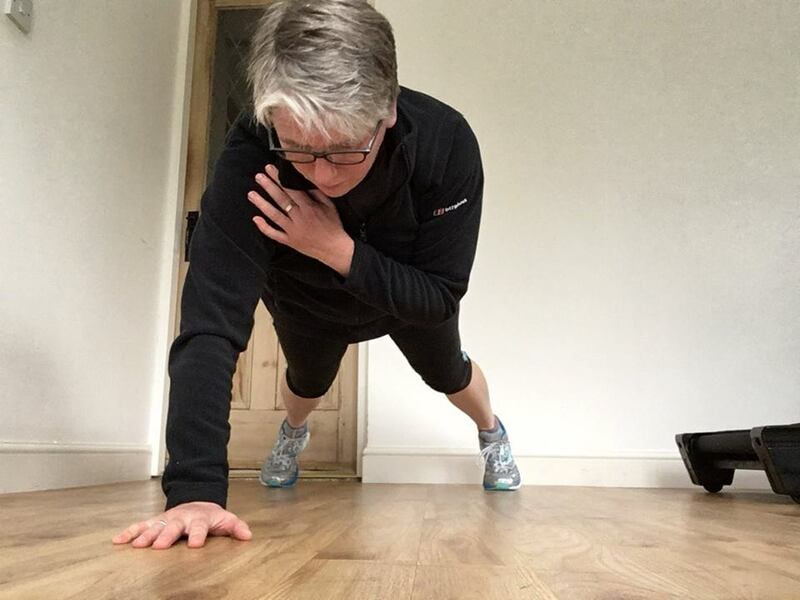 The process was not with hiccups, especially psychologically, when I began to really appreciate the depths of my loss of fitness over the last year or so, and particularly over the last few months of non-swimming treatment. Feeling the stiffness in my shoulders the day after only a 30 minute swim felt very sobering and ageing. Being right back at the beginning is hard when I think back to the many fantastic years of long swimming I've been able to enjoy, but I'm trying to focus on starting from where I am, and am working on relishing the steady build-up to fitness rather than regretting what is lost (and without going mad and wrecking all that hard work); I do my drills diligently in the pool to try not to slip into old bad habits. To date, I'm at 45 mins of swimming in the endless pool, 4-5 times a week, without negative consequences to my neck / back, so that's progress indeed. 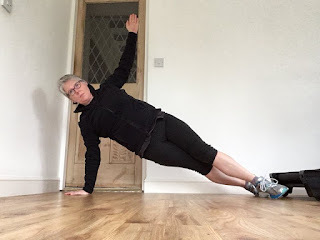 I'm still doing Pilates at least once a week, and I've resumed running, following a beginner's 5km programme (on a treadmill primarily but hoping to venture outside once I've got my confidence / capacity up). I''ve also introduced some cycling on the turbo, with a view to buying a mountain bike in the new year so that I can get out into the hills around our house, and I've rediscovered the joys of walking, with many trips to the Lake District, and up into the Yorkshire Dales - who knew that there are far more ways to enjoy the outdoors than from the water....? If I've learned one thing this year it's that having all my eggs in one basket in exercise and activity terms is a mistake, so these are all good outcomes coming out of a difficult situation. But perhaps the greatest impact of my slow but steady recovery is the return of sleep. I've been suffering from terrible insomnia for the last few of months, mostly as the result of work-related stress, but compounded by not being able to exercise it off in the usual, water-based ways. Anyone who has suffered from the inability to sleep in a consistent and sustained way knows how awful and grinding it is, and how it only compounds the stress that you so desperately need to sleep off. The half-hour dips weren't doing it for me, but it turns out that a regular 45 minutes of swimming (plus a bit of running etc) is what it takes to break the sleep log-jam and I'm finally sleeping through most nights. This is a quality-of-life changing development, and as a result, I feel much better placed to manage some of the other challenges that life is throwing my way. If ever there was an incentive to keep up with my rehab and recovery, it's that 45 minutes....and there's hopefully more to come. So, it's been a tricky few months, but in 21 days, I'm off to the Canary Islands for 2 weeks of sun, relaxation, recovery, and hopefully more swimming. And sleep. 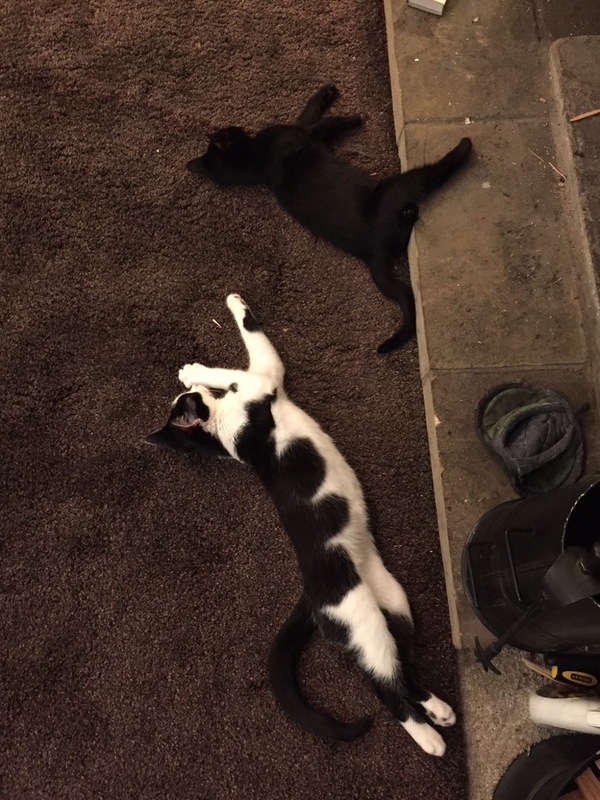 Lots of sleep. At the risk of this reading like episode 476 of my injury story., and since I have nothing exciting to tell by way of swimming adventures, I thought I'd offer up a quick update. The long and the short of it is that I remain injured, but nowhere near as badly as this time last year. 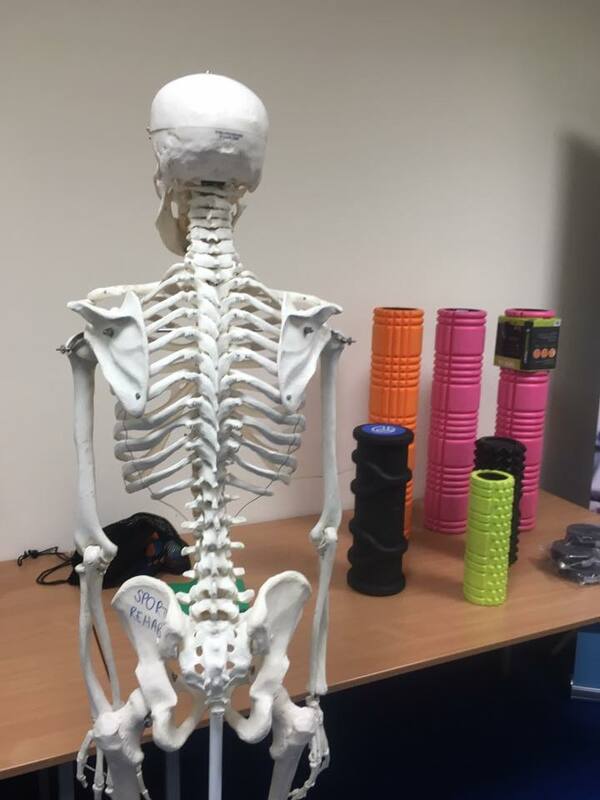 I've benefited from the significant expertise and care of my osteopath, Louise, at the Ilkely Osteopathic Practice, and Pilates instructor, Sarah Clough at Space: Fitness and Wellbeing, both of whom have helped me transition from constant pain and neck and shoulder immobility to an almost pain-free everyday existence. Over the year, I've cycled on an endless loop between being able to engage in modest swimming (3-5km at a time) and long periods of injury-imposed rest; each time I thought I had it on the run, back it would come once I passed the threshold of my body's tolerance, no matter how slowly and gently I approached it. I have been performing my prehab routines with religious diligence, do yoga and Pilates several times a week, and have generally been an obedient neoliberal subject trying to take responsibility for my body, but while everything that I have done has helped, nothing has managed to get to the bottom of it all, and the movement restriction and buzzing nerve aggravation in my neck / shoulder persisted. However much it receded into the background, it was always ready to jump to the fore when I got ahead of myself. More recently, this has also manifested itself in a shoulder impingement, just to add to the fun. But while I have loved all of this during what has been a quite spectacular summer (who knew Cumbria could have a water shortage!? ), it's not enough for me. I can't swim like I want to, and at the moment, I'm not ready to let go of long swimming. And so, I have recently started working with sports therapist, Adam Smith, who I met through the prehab workshops organised by Active Blu's Emma Brunning, who has also been hugely helpful over the last few years in working on my stroke. After a thorough assessment, Adam agreed with my osteopath's view that this is not a vertebrae/ disc issue, but rather, is a question of tight soft tissue trapping the nerves and causing the problem. And the solution? If the problem is deep in the tissue, then the only way to resolve it is to get in there. It has to be said that this is not a pleasant process, and as a treatment experience, the more gentle approach of my osteopath / Pilates instructor is a far more pleasant way to spend an hour. As anyone who is familiar with deep tissue massage will tell you, it can be exquisitely painful, but the more you can endure, the quicker it goes in the long run. In my first session, Adam constantly asked me to rate the pain from 1-10, calibrating my tolerance for the process and tailoring it accordingly. 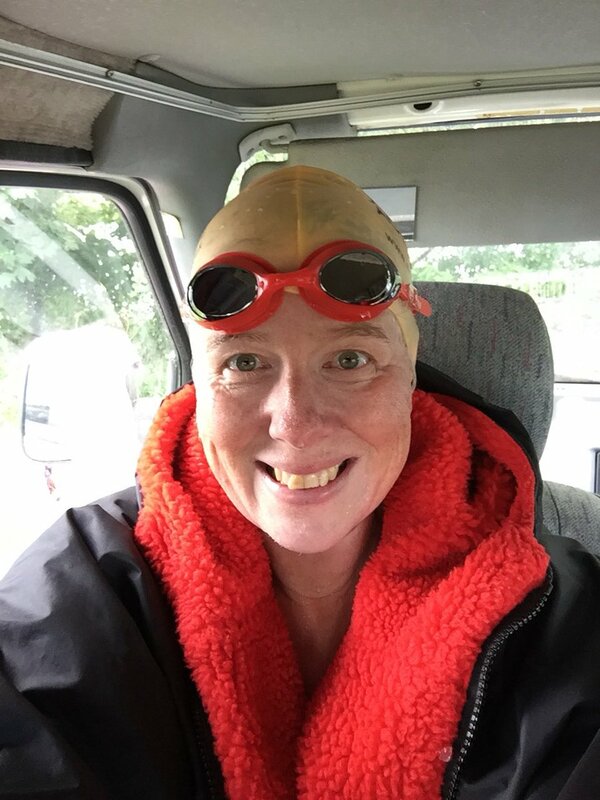 At 3, I wondered what 10 might be like; in the brief moments that I hit double figures, I concentrated on breathing and thought about swimming. 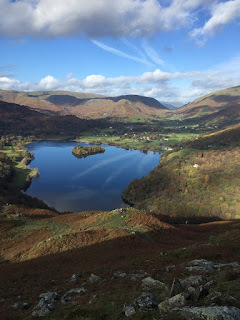 Sometimes, he announces that he's going to 'drop in' to this or that bit of my back / shoulder; it sounds so benign and friendly ('dropping in for tea'), but really isn't. 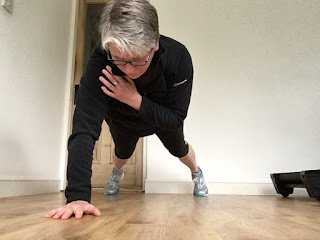 Far worse than the pain, for me, is the occasional moments of what I have come to think of as 'twanging' - the easing into movement of taut muscles by strumming or peeling across them. It's not so much painful as, well..... just weird; it doesn't really hurt, but makes me feel really squeamish, like listening to someone crack their knuckles or scrape their fingernails down a blackboard. I've been trying to find the adjective to describe the whole process. I started off with 'violent', but that's not right at all since the whole experience is collaborative and consultative, as well as voluntary and temporary. Instead, I've settled on 'physical' - it's an intensely physical experience that digs to the heart of the mechanics and sensory mechanisms of the body. On a scale of 1-10, my desire to return to long swimming is about a 15, so it's all more than worth it, especially in the hands of someone who knows what's he's doing and shares my goals. And the most important thing is that it seems to be working. Adam's theory is that while everything that I've been doing has helped, nothing has gone deep enough to cut to the core problem, and it's a persuasive thesis which is already being proven by the results - a massive increase in range of motion and flexibility, and far less pain and discomfort in my neck and shoulder. The treatment itself is leaving me quite sore and bruised, but this is of a very different quality to the injury pain and feels incredibly constructive. It also leaves me feeling completely whacked, and after each treatment I've slept as if I've done a 6 hour swim, which tells me that there's a lot more going on than I can directly perceive. Only 10 days after my first session, there's a world of difference that fills me with optimism. There are more sessions to come, to be followed by a rehab strength and conditioning programme, but hopefully, with all the necessary work, this is all preamble to a proper return to the water very soon. So that's where things are. My long swimming days aren't over just yet. This is the next instalment in what is becoming a series of annual posts where I chart the gulf between my swimming aspirations and bodily realities. After last year's disappointments, I have been working hard to manage my injuries; in particular, my neck problem proved to be stubborn and intractable, but a combination of osteopathy and a diligently-followed prehab regimen slowly relieved the trapped nerve and associated muscle damage and by the end of January I was covering 25-30km a week in the pool quite happily and feeling very optimistic. I threw my hat in the ring for an ambitious and exciting swim and thought I was good to go. But it's never so simple. I came out to the Canary Islands last week with the aim of spending a couple of weeks doing some very dull data coding, made easier by sunshine and swimming on tap. Unfortunately, a spell of stormy weather here made the swimming lumpy, and then later, impossible, but even in the modestly lumpy phase, the gap between the predictable flatness of the pool and the erratic movement of the waves exposed the weaknesses of my recovering neck, which soon started to feel stiff and sore post-swim. 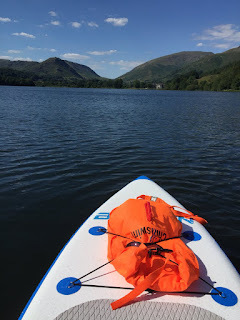 I stretched, pre-habbed and maintained a position somewhere between optimism and denial, but the next day the stiffness and immobility started to return even while I was still in the water being bounced around by the waves. A huge storm then hit the islands putting a stop to all swimming, but the niggle in my neck persisted, clicking and crunching when I woke up in the morning or turned my head quickly. What to do? I could persist and hope that it would be relieved by more swimming; or that calmer waters later in the trip would reduce the strain and allow me to continue building up. Or I could pull the plug and go back to my modest pool-swimming, osteopathy and prehab regimen, which has undoubtedly been working...albeit not as quickly as I would have liked, as it turns out. I couldn't face (or afford) another late pull-out, so in the end, this morning I decided to pre-empt the issue and withdraw from the delicious swim I had been hoping to do (as well as a more low-key UK event that I'd signed up for a while back). I feel terrible that I seem to have become a serial withdrawer, in spite of my best intentions and genuine convictions that I was up to each challenge. It is painful to have such a fantastic opportunity slip through my fingers, and I have been torturing myself all day with the thought that maybe...just maybe...I would have been alright and could have done it. 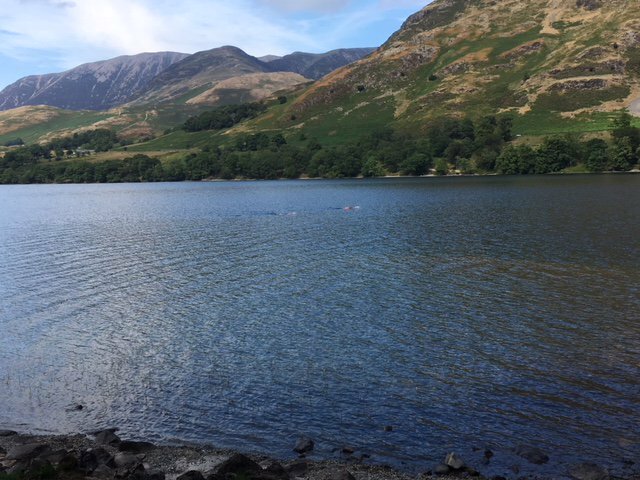 But in the end, I suspect that uncertainty about an injury is certainty enough when deciding about a very long swim; distance is pretty unforgiving of bodily weaknesses and injurious flaws. This is very different to last year's crash and burn though. I hope that I've called a halt in time to stop the injury niggle in its track and to get quickly back to my slow.....slow....recovery. I haven't pushed on and aggravated the injury into something much more serious like I stupidly did last year, so perhaps I am learning and this too is some kind of progress in my swimming evolution (or possibly devolution, given that I started strongly with the EC years, but am becoming increasingly unimpressive and breakable). We'll see. But for now, it's back to slow healing. To end on a positive note, even though it's ferociously windy, it's 23 degrees and sunny here in the Canary Islands, while the UK is blanketed in snow and ice. Plus we have kittens at home now, and life is always okay once there are kittens in your life. When I think of the water, I always think about swimming; when I see a stretch of water, I wonder what it would be like to swim in it, across it or around it. But there's a whole world of other ways to interact with the water that I've never really explored....and as my 50th birthday rolled around this January, it was time to try something new. 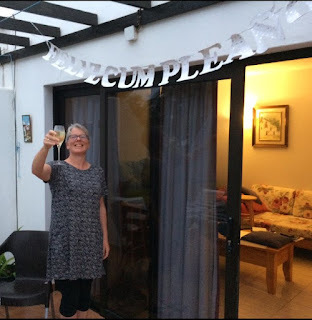 In the summer, I was feeling pretty fed-up about my pending big birthday - my various injuries made me feel decrepit, and I felt a bit defeated. But then I thought....well, sod it. So I decided to embrace it instead, and to that end, used my birthday trip to the Canary Islands to try two new water activities - scuba diving and stand-up paddle boarding (SUP). I was quite terrified when I turned up for my try-dive lesson at a sea front dive centre near our holiday bungalow, and I had no idea how I would feel about being submersed and reliant on what seemed like a very complicated and cumbersome set of equipment. After a short period of dry-land instruction covering safety procedures and in-water communication, we kitted up and waddled under the weight of the gear down to the beach and into the water. One by one, the instructor submerged us, deflating our buoyancy vests and guiding us down a couple of metres to the sea floor. Rather disconcertingly, my instructor grabbed a couple of rocks from the sea floor and shoved them into mesh pockets on the side of my gear to prevent me from rising. It takes a particular kind of trust to relax enough to allow someone to sink you so thoroughly under water. Once we were all submerged, we paddled along the side of a rocky reef, flanked by our instructors, and soon found ourselves surrounded by a school of fish with large, rounded bodies and yellow stripes, completely unbothered by our presence. Later on we saw cuttle fish, and this beautiful octopus. Once I'd relaxed into it, I was completely blown away by the experience of visiting this vibrant aquatic world which I thought I understood from swimming at the surface, but in reality had no clue about. It was hard to let go of being a swimmer though - I couldn't resist using my arms and hands to propel myself forwards, even though I was wearing huge fins that required only the slightest flick to move me through the water. Using my hands also proved to be quite destabilising, and I found myself constantly tipping from side to side and then having to correct. I slowly came to understand that while swimming is about constant movement, diving is more about not moving - of being in the water rather than moving through it and using the fins as rudders rather than propellers. It's about enjoying the view and visiting another world. We were only in the water for about 30 minutes, but I loved every second and was so disappointed when the instructor started pulling the rocks out of my pockets and slowly guiding me to the surface. In fact, I loved it so much that I signed up for a second session the next day, this time in deeper water and entering from a boat rather than the beach (although still with the same level of instructor support as my first dive - this was a diving experience rather than structured training). I felt like Jacques Cousteau as I tipped rather anxiously backwards off the dive boat, but it was as easy as, well....falling off a boat; my instructor helped me to submerge, and off we went, exploring a reef and encountering huge shoals of long, thin trumpet fish. The whole experience made me want to get a PADI qualification and learn to dive more independently, but I can already see that it's a hobby that eats time and money....and I already have one of those. But still...it was an amazing experience. And so....on to adventure number 2 - an SUP lesson. While I took to diving immediately, I think it's fair to say that this was not an opportunity for me to shine. It was quite windy, and although we had excellent instruction, the entire session was punctuated by the sound of me scrabbling up onto the board, staggering to a stand, yelping as I lost my balance and then falling back into the water with a percussive splash. At the end of the lesson, we signed up for a 3-hour coastal SUP tour a few days later where I reprised my scrabble - pause - shriek - splash soundtrack but I soon discovered that by staying kneeling, I could stay on the board and still enjoy the novel perspective of being on, but above, the water. We visited caves, paused to go snorkelling, and had a splendid time. Towards the end, I found my sea legs and managed to both stand up and paddle, so there is hope for me yet. Peter, on the other hand, took to it immediately, and was able to draw on his skateboarding past and a very good sense of balance to strike a relaxed and effortless pose as he paddled away with impressive aplomb. So two successful aquatic adventures - one deep below the surface, and one on / above it. It turns out that there is far more to a life of aquatic leisure than swimming. But of course, there was swimming too, although not as much as in previous years. I ended up doing a fairly modest 40km over the two weeks we were there - after my long lay-off, I'm still building my fitness and don't want to risk overdoing it and falling back into injury again. My confidence took a bit of knock over the last year or so, but hopefully all of the work I've been doing on my stroke, plus the prehab regimen which I do diligently every day, will bear fruit and I'll be back to full swimming capacity soon. Happily, I'll be back in the Canary Islands for more in February and then again in April - I have a great deal of data analysis to do for the sugar project, and see no reason why this should not be done in the sunshine and combined with swim training. And in the mean time, I had a wonderful trip and a splendid birthday. If this is what it's like to be 50, then count me in. I've been thinking a lot recently about my swimming, and in particular, about my various injuries and niggles, and the general sense that I'm not swimming as consistently or recovering as well as I used to. Part of this is the obvious fact that injury necessitates down time which impacts upon swimming fitness, but also I'm 50 next January (how did that happen? ), and no matter how much I refuse to be bound by constraining ideas about middle age, the ageing process, plus the menopause, has undoubtedly affected my flexibility and recovery. I've been involved in marathon swimming for almost 10 years, but I feel like the bodily stresses of long swimming have started to take their toll, and if I want to keep on swimming, something has to change. 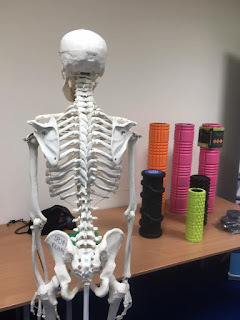 So....a month ago, I joined a "Prehab" workshop run by Active Blu's Emma Brunning, who I've seen on and off over the years for help with my swimming stroke, and Adam Smith, a sports therapist and strength and conditioning coach. I've been thinking for a while that I could benefit from something like this, but wasn't sure where to go for advice, and to be honest, was a little embarrassed about pitching up to a professional coach - I never feel enough like the sort of 'athlete' I imagined they worked with. So the timing was perfect. The premise of the workshop was that everyday life and regular training create bodily imbalances that eventually lead to injuries which in turn impact upon training consistency which affects overall performance. The coaches suggested that many amateur athletes who train regularly are on constantly on a knife-edge of breakdown and injury; this is certainly how I've been feeling, to the point where I wasn't sure whether I should even try to train up for another big swim and should perhaps stick to shorter events. The workshop explained the anatomy of these imbalances and provided us with a sequence of exercises to enhance thoracic and shoulder flexibility and stability that we were advised to do at least three times a week. The core principles are to keep the routine relatively simple and be consistent about doing it. During the workshop, we performed shoulder distraction exercises using the resistance band hooked up to a large A-frame, but at home, I struggled to find a safe anchor point, so invested in a heavy duty door anchor which does the job perfectly - it sits behind the door on the hinge-side, is solid as a rock and doesn't damage the frame. 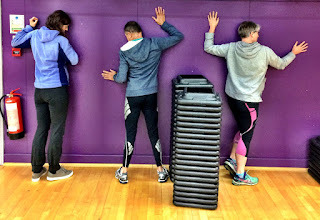 The routine also includes work with a foam roller, floor work to improve shoulder and thoracic flexibility and techniques using a lacrosse ball to dig out knots and release taut muscles. Trust me - you'll never look at a lacrosse ball in quite the same way again, and if you ever see me hugging a wall with an expression of pained resignation on my face, you'll know what's going on. Apparently, one of the biggest frustrations experienced by sport therapists / physios etc is that people don't do the exercises that they're given. I can see why this happens - people are busy and this is just one more thing to do, and the exercises themselves don't always feel immediately beneficial, lacking the direct logic for example, of going for a long swim as training for a long swim. But I have a lot of respect for expertise, and don't really understand paying someone good money for sharing their expertise and then not doing what they say. 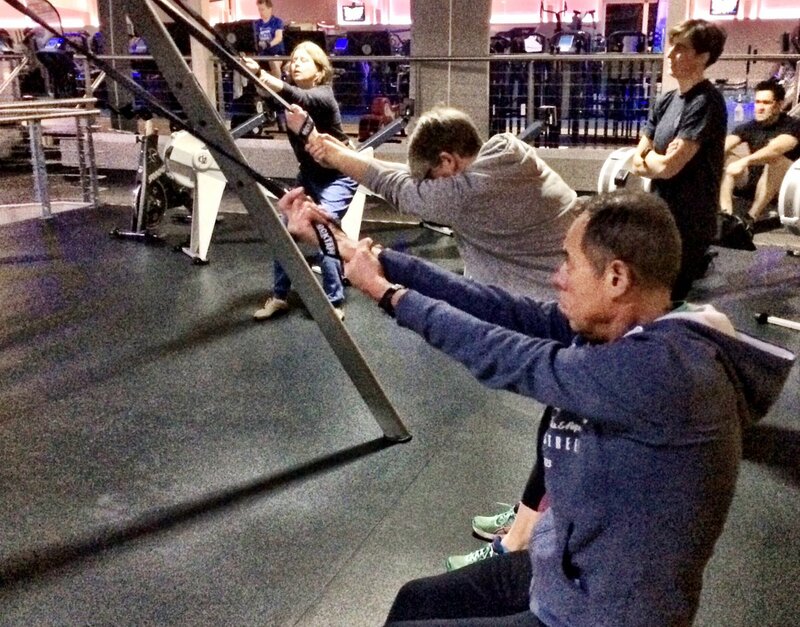 So...I've spent 30 minutes a day on the exercise routine (almost) every day since the workshop, and am a total convert. (I'm lucky in that I'm currently on research leave, so the time for this is less of an issue than it will be when I return to teaching next year. But I'll cross that bridge when I come to it). The positive benefits have been swift and noticeable, especially in terms of flexibility and balance. This has played out in the pool, where the combination of the rehab regimen and the stroke correction work I've been doing for the last couple of months has resulted not only in a much more relaxed and balanced stroke, but also a tangible pace increase. I care more about the prevention of injury than about improving my pace, but it's a happy side effect. None of this is any kind of guarantee that last year's cascade of injuries won't happen again, but I feel like this is such a positive step, and I wish I had done it years ago. I'm sure many more experienced and accomplished swimmers are rolling their eyes at my late arrival at this understanding, but as with many late-onset marathon swimmers who didn't experience the more professionalised training of serious squad swimming when they were younger, there's a lot to learn about how to train. I've been through the same learning curve over the years with technique work and speed work, but it turns out that you can teach an old dog new tricks, and I'd encourage anyone in a similar position to find someone with the right expertise and commit to the process. I'm flying south to the sun soon for a bit of a holiday and the chance to take my improved stroke and newly stable and flexible shoulders swimming in the sea. And yes, I will be taking my foam roller, exercise band and even that lacrosse ball with me. On a separate note, in response to a recent outbreak of abuse across a range of platforms where I am active online, I have closed The Long Swim to comments. I've also tightened up security and privacy on my new research blog, Sugar Rush, and on all social media. There is a history to this abuse and it is not directly related to any specific recent forum or other online activity. If you would like to engage constructively with anything here on the blog, I'm happy to discuss on the Marathon Swimmers Forum, which has the advantage not only of being closely moderated, but also of involving many members with far more experience than me on all things swimming. I'm also on Twitter as @thelongswim, but will only engage in debate publicly (and constructively) and not via DM. Please note that any abuse on any platform will be blocked and reported immediately. 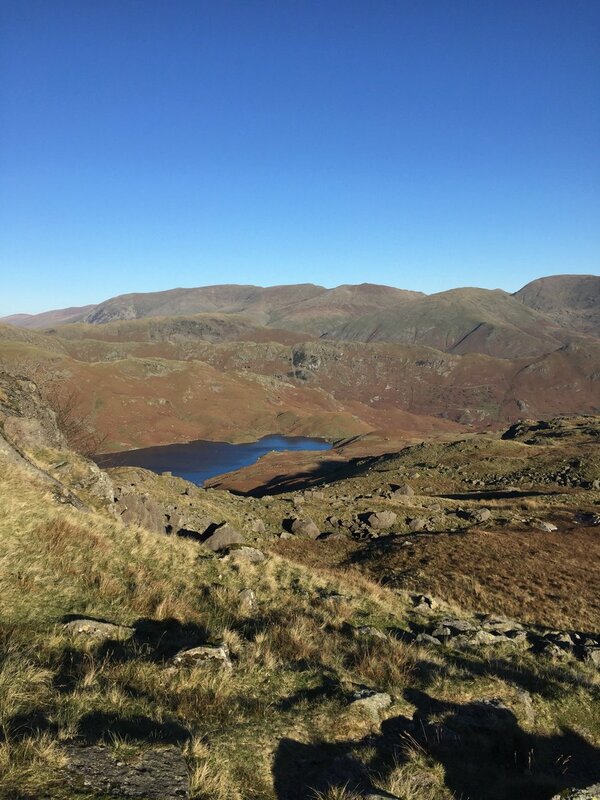 To coincide with Thanksgiving in the US last week, my colleague Greg Hollin invited a handful of present and previous members of the School of Sociology and Social Policy to contribute short posts around the theme of the social relations of sport. You can download the full collection of posts in pdf form here, and they've also been posted on the Centre for Interdisciplinary Gender Studies (CIGS) blog as individual posts. The collection explores questions of gender, race, religion, "taking the knee" and globalisation in relation to sport - please visit the CIGS blog to read more. In the mean time, I've pasted my contribution below. Sport, or at least some sports, enjoy extraordinarily privileged status. At the level of elite sport, national pride, vast sums of money, the passionate belonging of team loyalties and the spectacular feats of extraordinary bodies create a privileged domain which can dictate TV schedules, mark holidays and capture national headlines. At the amateur level, sport provides a means of demonstrating bodily discipline through practices normatively coded as healthy and is a source of pleasure to many; the sporting subject is the good citizen par excellence. But the public endorsement of sport and its subjects is also premised on exclusions that should give us pause for thought. Sport remains determinedly demarcated on gendered lines, with men and women rarely allowed to compete directly with each other. The boundaries between men and women’s sport are closely regulated and policed, with women at risk of exclusion if their hormonal or genetic profiles exceed arbitrarily defined boundaries of acceptable femininity. And even when women can compete, they still experience systematic exclusion and discrimination: women’s sport receives only a tiny fraction of the media coverage that men enjoy, women are frequently limited to fewer and shorter events and they receive lower rewards in prize money and sponsorship. Other exclusions persist alongside the rigorous and hierarchical gendering of sport: sporting participation is constrained for many by lack of access to facilities, prohibitive costs, the absence of childcare or the failure to accommodate the needs of disabled athletes. And for some, participation in sport is simply too shaming a possibility to face; it is hard to be a fat body, for example, in an environment so strongly oriented towards the elimination of fatness, and where access to size-appropriate equipment and clothing may not be available. Race also serves as an axis along which discrimination persists, with ideas of sporting ‘fit’ closing off opportunities and limiting choice. 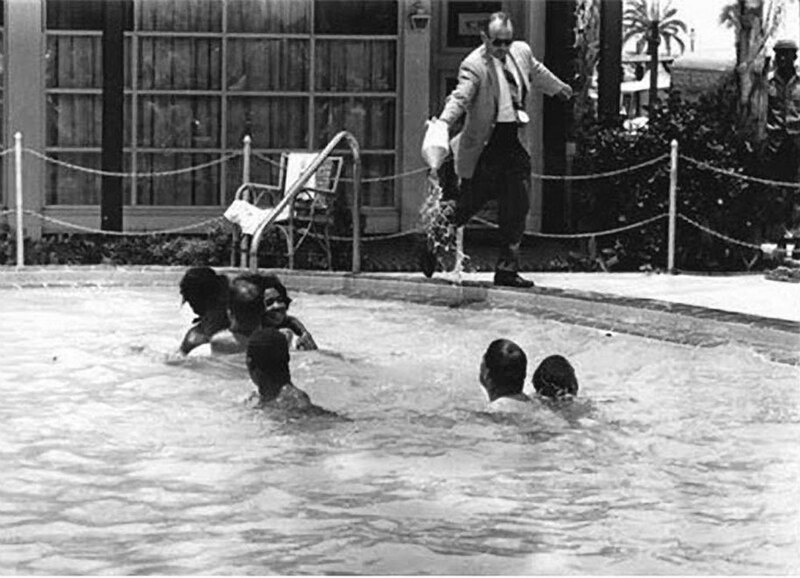 For example, the whiteness of my own sport of swimming remains mired in notions of the incompatibility of blackness and swimming, and in particular, the myth of higher bone density as a precluding factor; it is a prejudice of significant consequence when we realise that young black boys are far more likely to drown than their white peers. 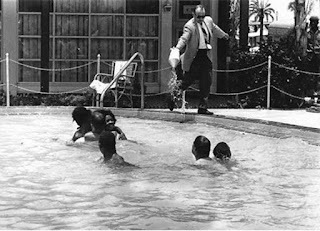 Motel manager James Brock pours acid into a pool in 1964 after learning that black swimmers were in the water. Sport, then, can be understood both as a mirror of the social and a means of its reproduction. Attempts to figure sport as outside of politics (for example, in the Olympic movement, or in recent debates about ‘taking a knee’) obscure its status as an intensely political site, not only in national and international settings, but also at the level of individual bodies as they variously challenge and sustain what counts as the ‘good body’ in contemporary society.